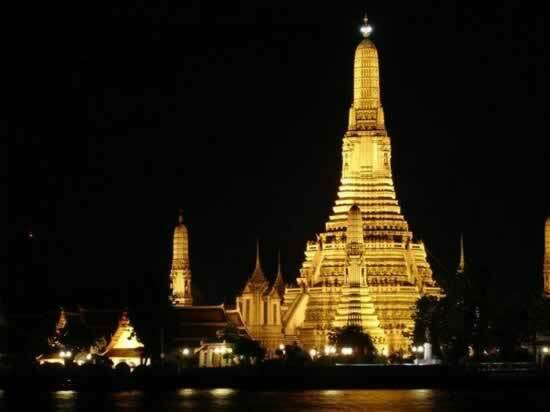 Bangkok is the capital of Thailand and many travellers first port of call when they enter the Land of Smiles. 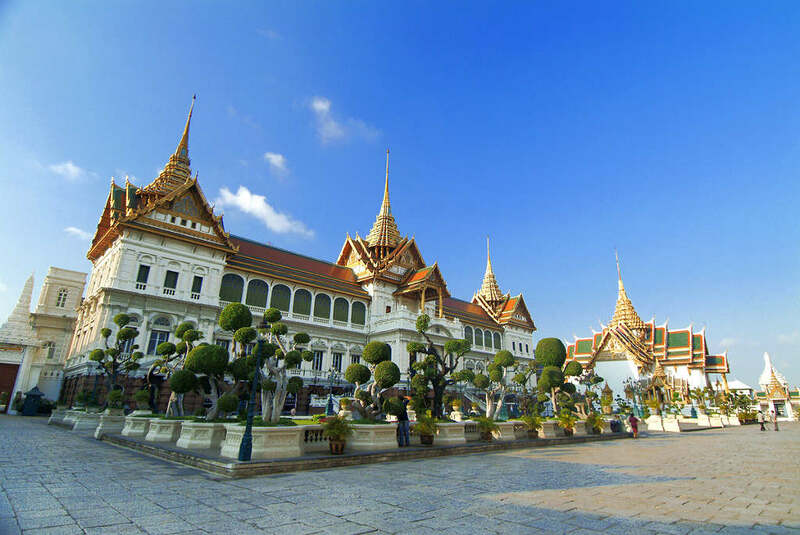 Bangkok is hot, busy and noisy and it is certainly one of Asia’s most cosmopolitan cities. 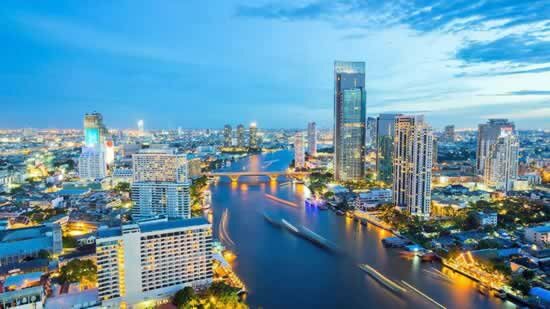 A great fact about Bangkok is that it has the longest complete name of any capital city in the world Bangkok is actually: Krung Thep Mahanakhon Amon Rattanakosin Mahinthara Yuthaya Mahadilok Phop Noppharat Ratchathani Burirom Udomratchaniwet Mahasathan Amon Phiman Awatan Sathit Sakkathattiya Witsanukam Prasit. 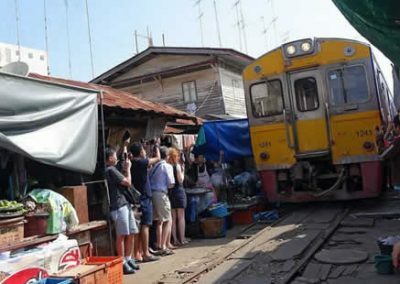 The town has come a long way since its birth as a small village on the west bank of the Chao Phraya River; it houses some of the most spectacular Buddhist Temples anywhere in the world. Bangkok actually holds the world record for the largest gold Buddha, a 3-metre tall and 5.5-ton statue is kept at Wat Traimit. Its value is thought to run into tens of millions of dollars. 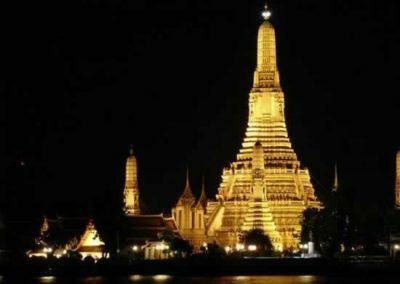 Over the years it has become an iconic Asia Powerhouse city and is Thailand’s spiritual, cultural, administrative, commercial, learning and political centre. It has over fifty districts and below is a guide to a few of the most popular tourist’s attractions in these districts. China Town is the largest china town in the world with over a million ethnic Chinese -Thai residing here. China Town bustles during the daytime, shops and stalls sell products at some of the cheapest prices anywhere in Asia and during the weekend you will find a huge market that literally sells anything everything. There is also some amazing Chinese restaurants here. Siam Square is home to some of the most modernized shopping malls anywhere in Asia, with all the top designers and on show; do not expect cheap prices here. 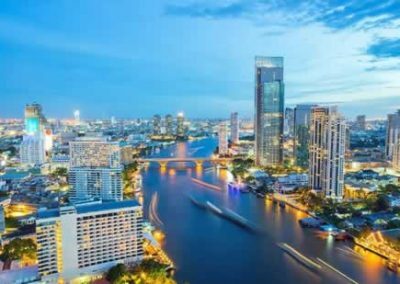 Silom Road and Sathorn Road are Thailand’s restrained financial centre during day time hours, however as the sun sets, Bangkoks infamous Patpong comes to life. Here you will find a large market which encompasses a more seedy side of life, Go-Go and beer bars are everywhere. 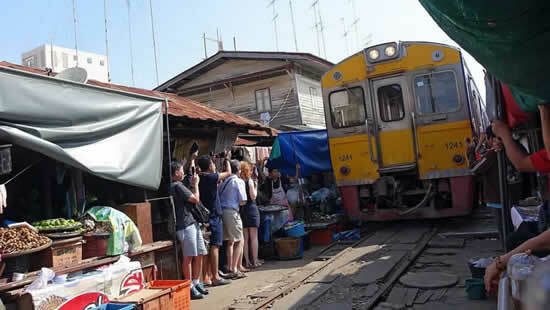 Most Backpackers flock here, it’s cheap, it’s very cheerful and the street food is outstanding, perched on the side of the Chao Praya River and overlooked by the Grand Palace Bangkok, Khao San road is a must see for everyone travelling here. 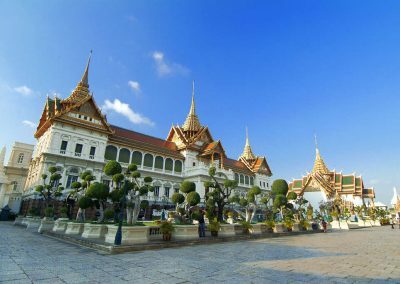 Close by to Khao San Road lies “Old-Bangkok”, which is home to some of Bangkoks best-known sights, like the aforementioned Grand Palace and Wat Pho. Also here is the famous Sanam Luang Square, which is where most major festivals take place and symbolizes the focal point of historic Bangkok. Phahonyothin Road and Viphavadi Rangsit Road are large bustling suburbs in the northern part of the city. During weekends, this is the best place to go bargain hunting. The Chatuchak Weekend Market is one of the largest markets in the world with over 8,000 stalls covering well over twenty five acres and selling anything and everything you could ever need. Pratunam is a large clothing market with hundreds of fashion stores peddling both retail and wholesale to anyone and everyone that wants to buy. It is very easy to find, wherever you are, simply search the skyline for the tallest building in the city and you will see the Baiyoke Tower II. 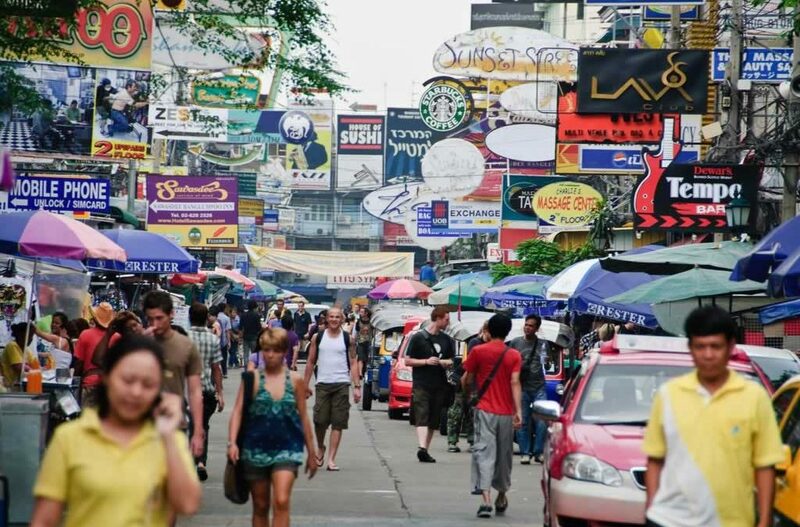 Sukhumvit Road stretches forever, and part of it is a busy tourist area and home to some fine dining and exclusive hotels, restaurants and nightclubs. This area is also home to another naughty part of the city Nana Plaza and Soi Cowboy and not for the faint hearted –fantastic for people watching. 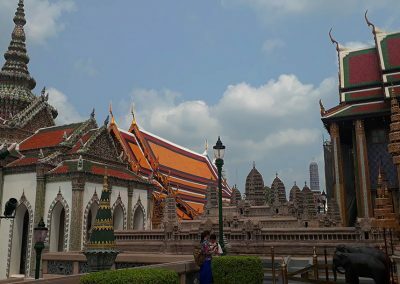 Thailands capital has so much to offer and is a must see for all visitors, here you will be made to feel welcome, as the locals are very friendly and inviting, please remember, it is busy, it is hot and noisy, but what an experience: City of Angels -you will love it.